Friendly atmosphere. Good access to airport. Stylish hotel. Modern Hotel. When you stay at Aloft El Segundo - Los Angeles Airport in El Segundo, you'll be close to Manhattan Beach Pier. This hotel is within the vicinity of Loyola Marymount University and Hollywood Park Casino. Make yourself at home in one of the air-conditioned rooms featuring refrigerators and LED televisions. Complimentary wireless Internet access keeps you connected, and cable programming is available for your entertainment. Conveniences include laptop-compatible safes and desks, as well as phones with free local calls. Amenities Take advantage of recreation opportunities including an outdoor pool and a fitness center. 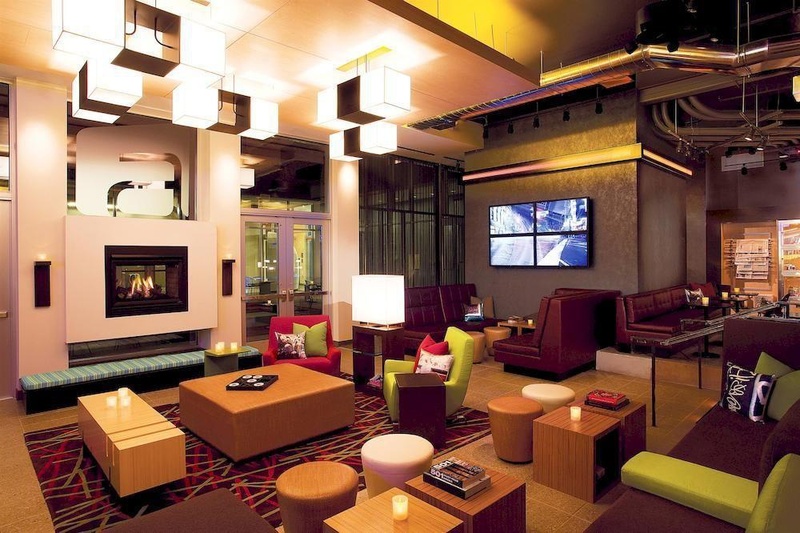 Enjoy a satisfying meal at a restaurant serving guests of Aloft El Segundo - Los Angeles Airport. Quench your thirst with your favorite drink at a bar/lounge. Featured amenities include a business center and a 24-hour front desk. Self parking (subject to charges) is available onsite. Super close to the airport. Plenty of parking. Amazing location. Very good business hotel. Close to Starbucks. Located near shopping areas and the airport. Great pool. Awesome vibe. Free wi-fi. Fast internet. Good wifi. Great outdoor pool area. Outdoor pool great. Nice swimmingpool. Beautiful lobby. Modern hotel. Modern rooms. Beers on tap. Talented bar staff. Great service at the bar. Staff is excellent. Talented bar staff. Great reception staff. Spacious rooms. Shower was amazing. Room was amazing. Not having hot breakfast. No breakfast provided. Paid for breakfast.